Our landlord buildings insurance protects your property against losses from risks like fire, storm and flood. This gives you peace of mind should the unexpected happen. Our policies provide cover of up to £500,000 for insured loss or damage to the structure of your property or permanent fixtures. If you’re a live-in landlord with a lodger living in your own home, check out our specialist insurance cover for homeowners with lodgers instead. Please note: HomeProtect landlord buildings insurance covers residential properties. We are unable to insure commercial premises such as shops or offices. What does HomeProtect landlord buildings insurance cover? HomeProtect landlord buildings insurance policies not only cover the main building but also outbuildings within the boundary of the property. as well as fixtures and fittings. Up to £30,000 per claim for loss of rent if the property becomes uninhabitable due to an insured loss. Up to £7,500 per claim of cover for your contents at the property when there is damage which affects the building at the same time (e.g. if there’s a fire). Up to £7,500 for rebuilding or repairing outbuildings. Cover for the main building for collision damage by a vehicle. Up to £1,500 per claim for basic accidental damage to: windows, bathroom fixtures and fittings, ceramic hobs, and underground pipes and cables. 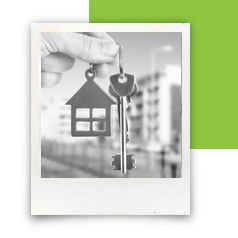 Are you a residential landlord? As a landlord, you need to let us know if the number of tenants (including children) living in your property changes, or if it’s going to be unoccupied for more than 21 days, for example, during a void period between tenants. Full buildings accidental damage cover providing up to £750 per claim for accidental damage to carpets and also covering accidental damage to outbuildings within the boundary of your property). * Discounts are available when two or more of these options are selected. Do I need landlord buildings insurance? If the property you let out is mortgaged, your lender will almost certainly require you to have buildings insurance in place as a condition of the loan. As there are extra risks associated with properties which are not owner-occupied, standard home insurance is unlikely to give you adequate cover. Landlord buildings insurance is designed to take situations involving tenants into account. Do I need landlords insurance by law? No, but if your property is mortgaged, your lender will almost certainly require you to have buildings insurance in place as a condition of the loan. Leaseholders do not normally need buildings cover for flats in England, Wales or Northern Ireland. If you decide that you don’t need buildings insurance cover for a flat you rent out, make sure that you have adequate alternative cover for fixtures and fittings such as carpets and curtains. I’m the landlord for a small office. Do you cover commercial property? No. HomeProtect landlord buildings insurance is for residential properties. What happens if I have voids between tenants? If your property is going to be empty for more than 21 consecutive days, you need to let us know.